Business Name: Location: Business size: Select one...Less than USD 2,000 per monthUSD 2,000 to 5,000 per monthUSD 5,000 to 25,000 per monthUSD 25,000 to 100,000 per monthMore than USD 100,000 per month YOUR NAME: your email: Questions? We help tourist businesses to take bookings and get paid. Take advance payments to confirm bookings, reduce no shows, and save on credit card fees when customers pay by card. Available for hotels, hostels & tourist activity operators around the world. Tab works with hotels, hostels and tourist activity businesses all over Uruguay. Take direct bookings on your own website – with full or partial payment. Integrate Tab with your existing online booking software to manage payments. Sell to customers via the Tab network. 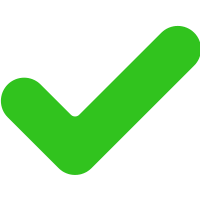 Request an advance payment from a customer to secure their booking. You can also take payments for bookings received through online travel agents, including via virtual cards. When the customer arrives, use the Tab for Business app to charge the customer's card for any remaining balance – at your reception desk or while you’re on the move. You can also email the final bill to your customers at the end of their stay. They can review their bill and pay in their own time, using their preferred payment method. Automatically ask customers for feedback, allowing you to deal with any concerns before they lead to a negative online review. Also supports goodwill refunds and vouchers. For advance payments, we charge 2.9% + $1 USD. Sign up NOWDo I Qualify? Businesses use Tab to increase their revenue, by confirming bookings, reducing no shows and up-selling food, drink and tours. You can also save on card payment & bank fees. We can set you up in 1-3 days, and you don't need any new hardware. There's no long contract or commitment, so you can cancel anytime, for any reason. Tab is designed just for tourist businesses, wherever they are in the world. We understand your needs, and we're focused on helping you build your business. Sensitive data is stored using AES-256 encryption and always sent over secure SSL connections. Tab is available in over 40+ countries, and supports 100+ currencies. No Shows - How To Deal With Them? 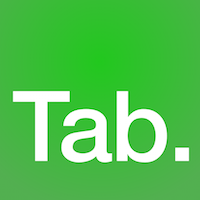 Tab is based in London and San Francisco, and we're backed by Y Combinator (the investors behind Airbnb & Dropbox). Copyright 2019, Tab Labs Ltd. All rights reserved.